Concurrent Technologies Corporation (CTC) is trusted to develop software for important programs for major Intelligence Community clients, U.S. Government clients and U.S. businesses of all sizes. We have extensive experience with readiness software products, integrating software with web service architectures and cross-domain solutions. Our software developers use an agile development approach (such as Scrum sprints) to quickly and cost effectively produce reliable software for projects with rapidly changing or highly emergent requirements. Certified Scrum Masters, certified Scrum Developers and Scaled Agile Framework (SAFe) Agilists make sure meaningful solutions are developed and deployed faster than ever before. Download our Agile Software Development fact sheet to learn more. CTC developed the Readiness Reporting System to track the continuity readiness of key Federal Executive Branch Departments and Agencies Continuity programs for the Federal Emergency Management Agency (FEMA). This Web-based system uses a three-tiered architecture comprised of a web layer, an application layer and a database layer. 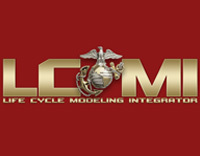 CTC developed the Life Cycle Modeling Integrator (LCMI) program for the United States Marine Corps (USMC). LCMI is a set of Web-based decision support modules that integrates historical data and converts it to quality logistics intelligence for the USMC. 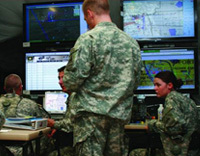 LCMI meets the needs of commanders, planners, and other Department of Defense (DoD) users by providing a current, integrated view of equipment status throughout the entire life cycle management process in order to analyze trends, formulate decisions, and manage readiness with greater ease and efficiency. 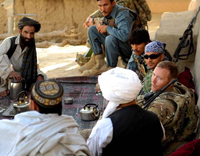 CTC served as the technical lead and advisor for the Defense Language & National Security Education Office for development, integration and operation of the Language Readiness Index Tool (LRI). CTC developed the LRI to use relevant data from the Defense Readiness Reporting System (DRRS) in support of the Office of the Secretary of Defense, Joint Staff, Combatant Commands, Services, and other Defense agencies. The application captures and compares language capabilities against requirements to identify the gaps in the total force, helping senior leaders make informed decisions, assess risk and develop mitigation measures. 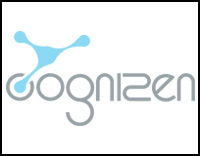 Cognizen, a CTC product, puts the power of e-learning development in the hands of the content creator. Rapidly develop courses and content without programming using built-in, instructionally sound templates. You don’t have to be a programmer to use Cognizen.